3D FIBER LASH MASCARA is the ultimate MASCARA! Today is Columbus Day and am happily turning over my blog to my cousin to guest post, who I truly have felt over the years was more like a big sister to me then a cousin. See, AnnMarie and I are first cousins on my dad’s side. Her dad and my dad are brothers and her dad is even my god-father. AnneMarie & I XMAS 1977 – Yup, that the baby is me (This was my first Christmas). So growing up we were very close and were even bridesmaids in each other’s weddings and now we have come full circle with our kids being very close and growing up together, too. 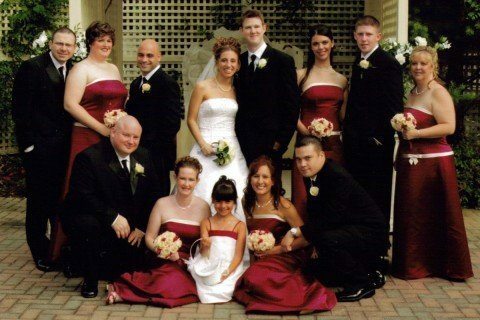 My Wedding – July 2006 – AnneMarie was a bridesmaid (she is sitting on the bottom right-hand side). Recently, AnnMarie started to sell Younique cosmetics, specifically their 3d Fiber Lash Mascara (I got to sample it and love it!! ), which is the rage for a multitude of reasons, all of which AnnMarie has happily consented to sharing here with my readers (thank you AnnMarie). What is Younique 3D Fiber Lash Mascara? water and any facial wash at the end of the day. It will make your lashes fuller, longer and sexier. NO glue, NO false lashes, and NO extensions. Also, Younique offers the most amazing full line of makeup and skin care products. See the Difference Using Younique Mascara with this Before And After Pic! How Has Selling Younique Has Changed AnneMarie’s Life as a Stay at Home Mom? Sell Younique Cosmetics and Change Your Life, too!! Becoming a “Younique Presenter” has changed my life! I am in control of my business. There are NO home parties, NO monthly fees, NO website fees, & NO paperwork. within three hours of EVERY purchase. You $99.00 investment will have your Younique kit mailed to you. From the very second that you join my Younique family, you can begin your journey and start selling. No need to wait for your kit. You have immediate access to YOUR website. Your “parties” take place online through social media etc. Work your business the way you want to. Email AnnMarie: HERE or copy/paste: [email protected] into a new e-mail. Get the October Younique Kit Now!!! And in case you missed last Monday’s giveaway post here, as a thank you from Casetify to Confessions of Mommyaholic readers, they are offering one lucky reader, the chance to win their own Casetify Cusotm Made Mobile Phone Case, by entering the raffle below now! Good luck and so very happy to be able to offer this today to all my loyal readers. 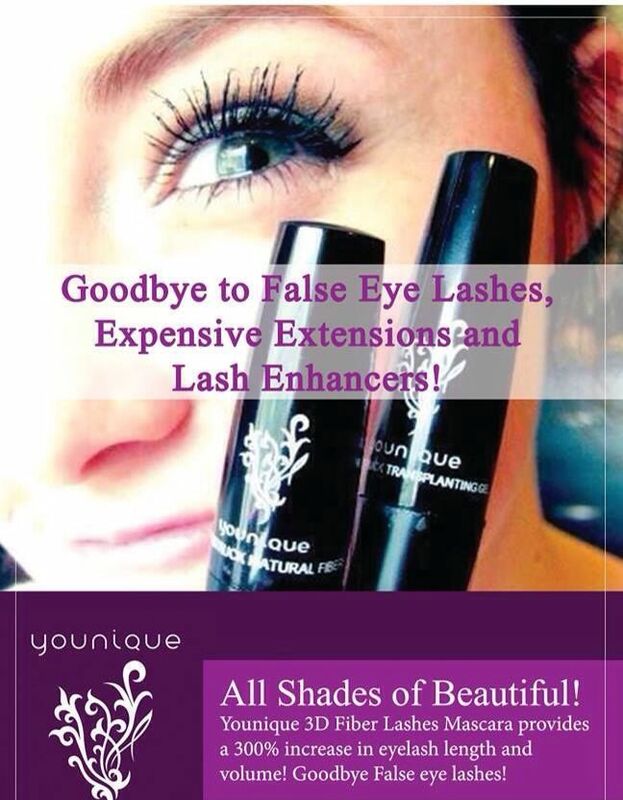 It has been ALL my pleasure to share this wonderful mascara! It has changed so many lives. One reason is because it really is the ULTIMATE mascara. Another reason is, so many women have become Younique Presenters because of it. They are loving working for themselves and doing it in a way that works for them. My friend sells Younique, but I have yet to try it. It looks like it really works, though. 3D FIBER MASCARA sounds like the mascara for you. Extensions tend to pull out lashes and you need to keep up with it as well. 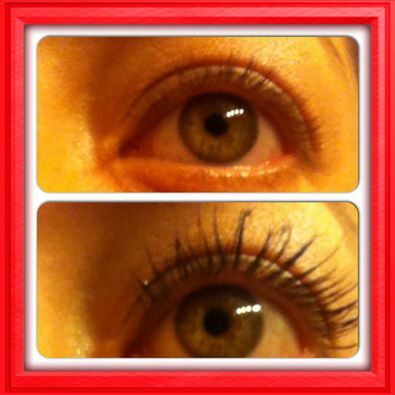 Just one of the great reasons to use the 3D Fiber Mascara is, NO extensions and NO loss of lashes. You are in control of how much or how little you would like to apply. At the end of the day, it will simply wash off easily with warm water and any facial cleanser. I am more than happy to assist you in any way, feel free to contact me if you would like. I have read that this is great mascara! I greatly enjoyed meeting your cousin and reading her post- thanks to both of you, ladies! 🙂 Pinning! This is such an amazing experience for me. Being apart of Janine’s blog is so inspiring. I truly enjoy being a “Younique Presenter” and I absolutely use and LOVE all of their products. It has changed my life in so many ways, financially and in learning how to apply makeup in different ways yo achieve different results. In addition, I am taking on new Presenters and sharing ALL that Younique has to offer. 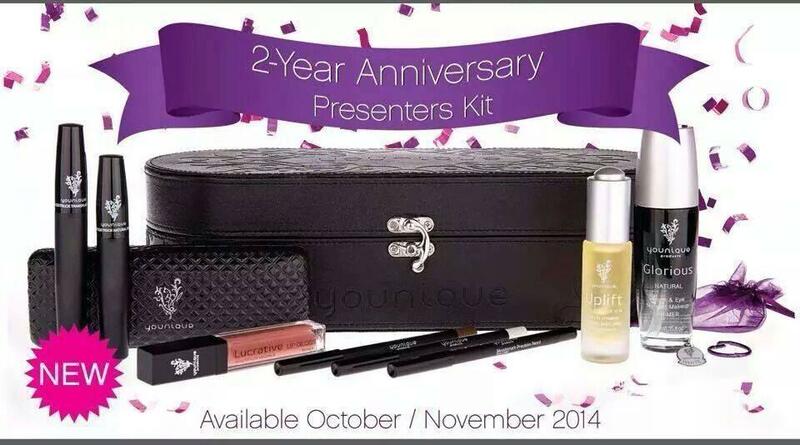 They are an AMAZING company that is just wonderful to all of their Presenters. Wow – those are some pretty impressive results. My lashes need all the help they can get, and I’m definitely never going with falsies. I just wouldn’t do it right and I’d end up looking like a spider. I like that it washes off as well. Thank you so much for your kind words and expressing your interest. Columbus doesn’t have a chance today…it’s my birthday! I forgot it’s Columbus Day there… it’s Thanksgiving Day here in Canada. I am a mascara addict and I have never heard of this mascara before! Mascara is my #1 makeup necessity. I can do without everything else but give me my mascara! Thanks so much for sharing! Wishing you a lovely day. Than you! I must say, mascara is a MUST! We ALL can not do without it. Thank you! It really is. The results are amazing. I have heard about the 3d lashes, but didn’t know very much. That is some awesome mascara!! Hello, it will change the way you look at mascara forever. No mascara will be able to measure up to it. It definitely sounds like great mascara. I love meeting your cousin. I think it is so special to have a cousin that close and now your girls are growing up together. Thanks for this great review. my pleasure and I am so happy that Janine shared me with all of you! So awesome that you and your cousin are so close!!! I know several people here who sell Younique. This mascara sounds awesome! Do they deliver internationally?? I actually don’t like water-proof mascara, because rubbing it off every night isn’t good for my lashes and eyes, and seriously, how often do I go swimming with make-up on? but this one sounds to be different. have any trouble washing it off with soap and warm water. There is NO need for makeup remover. In the summer I applied it and went to the beach and the pool. There was no runny black mess. It was great. Where do you live, so I can tell you if we ship there. If not, I can mail it to you. I love good mascara. In fact, I always answer my desert island question with mascara, when asked what ONE item of makeup I couldn’t live without. And false eyelashes just freak me out. Many mascaras are clumpy or disappointing. I love your deserted island answer. Mascara is a must! Feel free to contact me with any questions or to purchase. and would love to answer more questions. Great review, Janine! Almost makes me want to wear mascara! I should definitely order some of this mascara… Mine is really crappy and expired anyway. I haven’t even worn it since I became a mom, lol. I am more than happy to assist you in any way. Okay I need this. I have the shortest lashes in the world! Janine, you look like a baby Emma in that photo! Thank you Jhanis. My website is here on Janine’s Blog. I have used a fiber mascara before, and I like it! I’m also a bit of a makeup junkie, so I will have to check this out! You will soon become addicted to the 3D FIBER MASCARA. So many women have, most self included! You will be amazed. my website is here on Janine’s Blog. Ok. So clearly I’ve already lost the giveaway. Lol. I love beautiful lashes though. My lashes are thin and sparse so mascara is my best friend. I’ll have to give this one a try. I look forward to your feedback on the 3D Fiber Mascara. Sometimes I wonder if it’s too late for me and my super thin lashes. I may have to give this a try. Thanks for the great info. 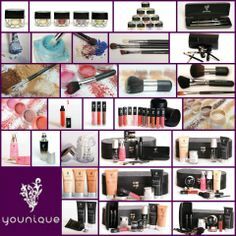 Feel free to contact me https://www.youniqueproducts.com/AnnMarieYoung/business. I’ve heard a lot of great things about this mascara! The before and after is really incredible! makeup product fro many women. This is so cool! I can definitely see a difference in the first picture. Once upon a time only false lashes could do such a thing! Wow to technology! Feel free to contact me with any questions or purchases. I played the video, and I do love the length the mascara lends to your lashes, that’s a huge dif. Visit my website to view more videos and purchase. Younique has a complete line of makeup and skin care products.